Ferns are beautiful, ancient plants that have been around for many millions of years. They are versatile plants that grow in an amazing variety of conditions, and many are well-suited for growing indoors. Although ferns are hardy specimens, they require a bit of care to keep them looking their best. 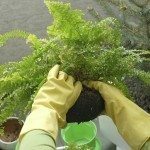 Fertilizing indoor ferns isn’t complicated, but it helps to be armed with useful information, such as the best fertilizer for indoor ferns, and when to feed fern houseplants. Keep reading to learn all you need to know about fertilizer care for ferns indoors. In their natural environment, fern plants draw nourishment from a steady diet of decaying leaves and other organic matter. Although regular fertilization is important, indoor ferns don’t need heavy doses of fertilizer, which may scorch the leaves. Be sure to water well immediately after fertilizing indoor ferns; fertilizer is a strong chemical that may damage the roots when applied to dry soil. If your fern is newly potted (or repotted), allow the plant time to adjust to its new environment before fertilizing. As a general rule, it’s a good idea to wait four to six months, but you can start earlier if growth is really taking off. Thereafter, fertilizing indoor ferns is best done every month throughout the growing season. Feed the plant only every other month when growth is slower during fall and winter. What is the Best Fertilizer for Indoor Ferns? Indoor ferns aren’t terribly fussy about their diet, and a weak dose of any liquid houseplant fertilizer is just fine. 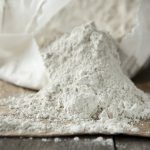 Be sure to dilute the fertilizer to about half the mixture recommended on the label. Read more articles about Fern Houseplants.